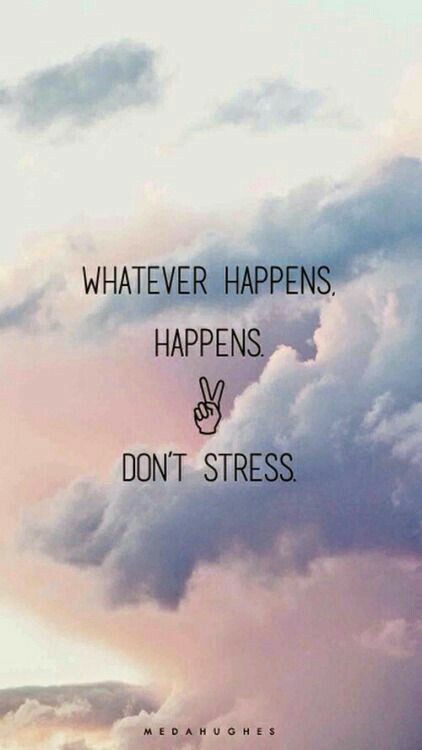 I'm trying to adopt this mantra in my life, but after being bombarded with stressful situation after stressful situation last week ... well, I decided to take a break from everything that isn't necessary in my life. That's why you didn't see any new posts last week. I needed some time to just sit and be; a chance to not feel like I was rushing to meet a deadline or dealing with a stressful situation. There's still one unresolved issue from last week that I have to deal with this week, but I'm doing my best to not let it cause me anymore stress. Here's to a relatively stress-free week. Happy Monday!